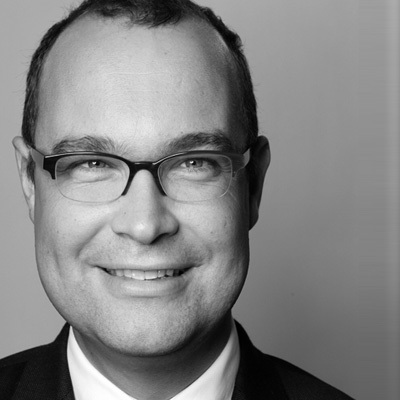 Dr Sven Fund has been gen­er­al man­ag­er of De Gruyter since 2008. After study­ing his­to­ry, pol­i­tics and pub­lic rela­tions he earned a PhD in polit­i­cal sci­ence at the Uni­ver­si­ty of Mün­ster. After work­ing for Ber­tels­mann AG, he worked for Springer Sci­ence and Busi­ness Media from 2004 to 2008; his posi­tions includ­ed man­age­ment roles at Birkhäuser Ver­lag AG and Springer­Wi­en­NewYork. The De Gruyter pub­lish­ing house has a long his­to­ry: it has been sup­port­ing acad­e­mia for more than 260 years, pub­lish­ing key works in all branch­es of the social and nat­ur­al sci­ences – from the­ol­o­gy to med­i­cine, from Ger­man lit­er­a­ture to math­e­mat­ics, from phi­los­o­phy to law. 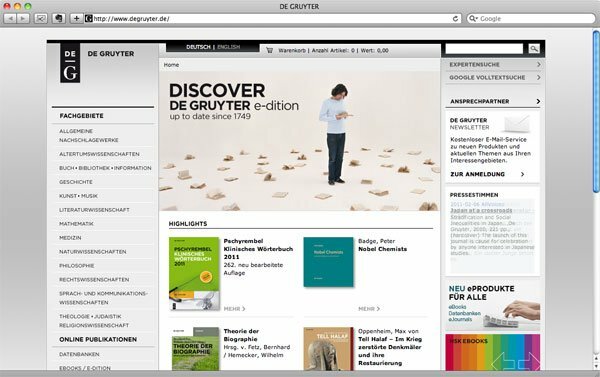 As one of just a small num­ber of uni­ver­si­ty pub­lish­ing hous­es, De Gruyter works to achieve excel­lence in all dis­ci­plines and sees itself as a part­ner to sci­ence.